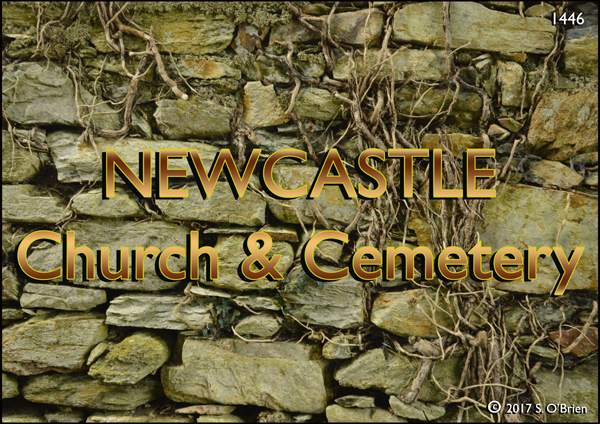 Newcastle church and cemetery are now seldom heard of. Their unique 'secret' location may well be the reason! 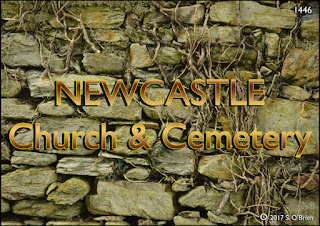 As already stated, the location of the long-defunct Newcastle church, and cemetery, must surely be quite unique. On the road from Kilmeaden to Carrolls’Cross (Waterford to Cork road), turn left immediately before Haughtons’ pub. A short distance further on, having come to a Y junction, keep left again, and a very short distance still further on one will see the entrance gate on right, with name plaque on gate pillar. making one wonder what is over the top! with this natural outcrop of local stone. The stone, sandstone surely, is beautifully coloured. or is is Portlaw & Ballyduff! The centre stone in this photo caught my eye. The two stiles on the inside wall. Beside it, lies a table tomb, burial place of a one-time local Parish Priest. in medieval symbolism, eight was the number of regeneration." Obviously the location of a window, now filled with stone. Oddly this small window was at the eastern end, where one would expect the altar to be. A very large cross, made with the shrub - 'Box'. tilted forward slightly, which possibly prevented weathering. 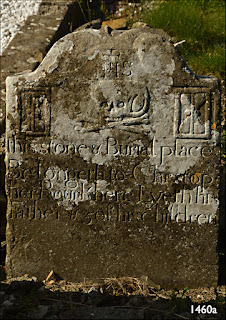 Possibly one of the oldest headstones to be seen. No text anywhere on this crucifix. with embossed wording, which denoted they were made in Carrick-on-Suir. Part of one of the window opes. A really interesting post, but I can't understand it properly due to its language. It would be nice if you would start blogging in English as more people will be able to read then. It IS in ENGLISH!!! There's a button at bottom of pages labelled 'TRANSLATE'. Click on that for translation into worldwide languages!! !